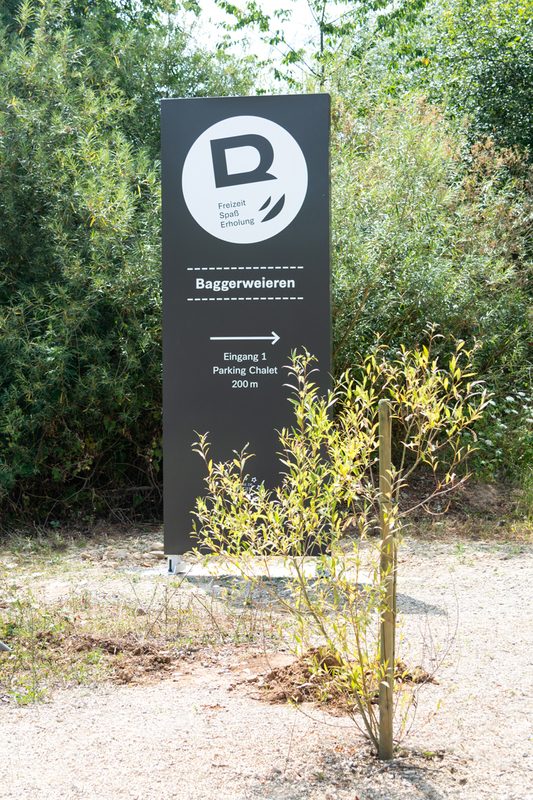 Client: Commune de Schengen // Bathing fun is our theme for the signage of the Baggerweieren in Schengen. 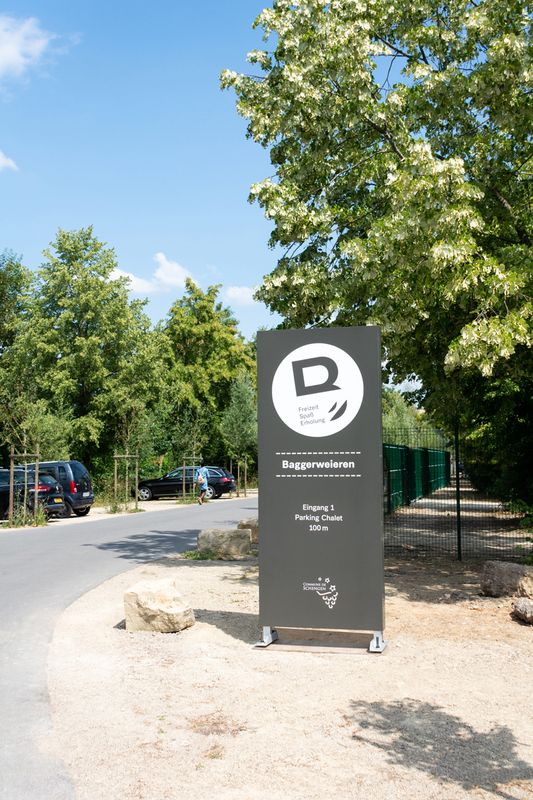 Professionally, the focus is on identity and enhancement through design, information and orientation. 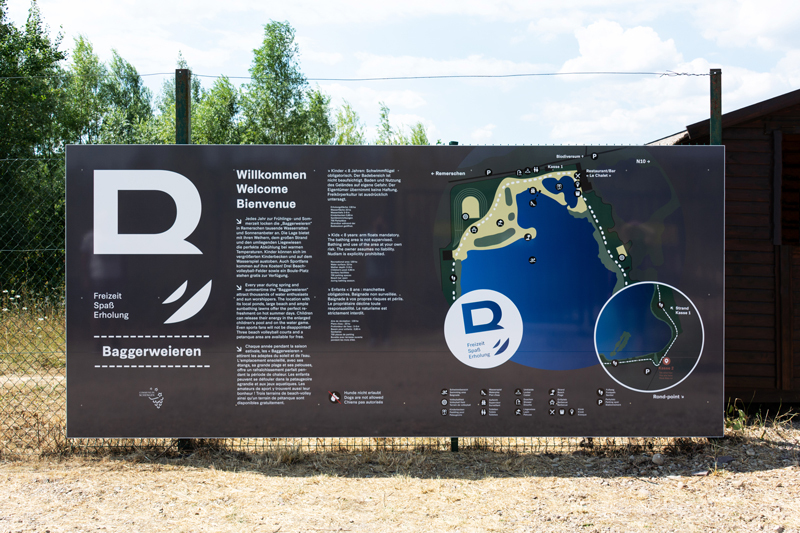 Context : The municipality of Schengen owns a unique nature conservation and recreation area in the Remerschen district with its dredging ponds. Part of it is used as a bathing lake. 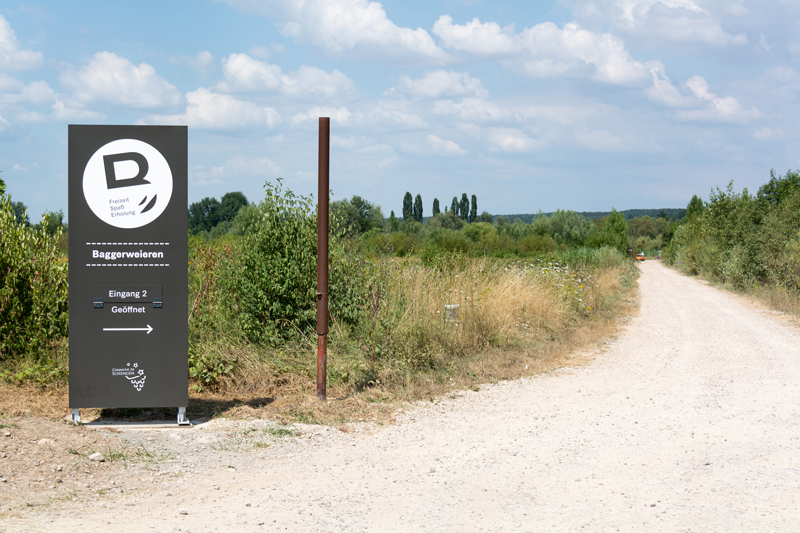 Over the years the area was extended by sanitary facilities, sports and play equipment. An offer for citizens, visitors and tourists that is taken for granted by many, financed and managed by the municipality. 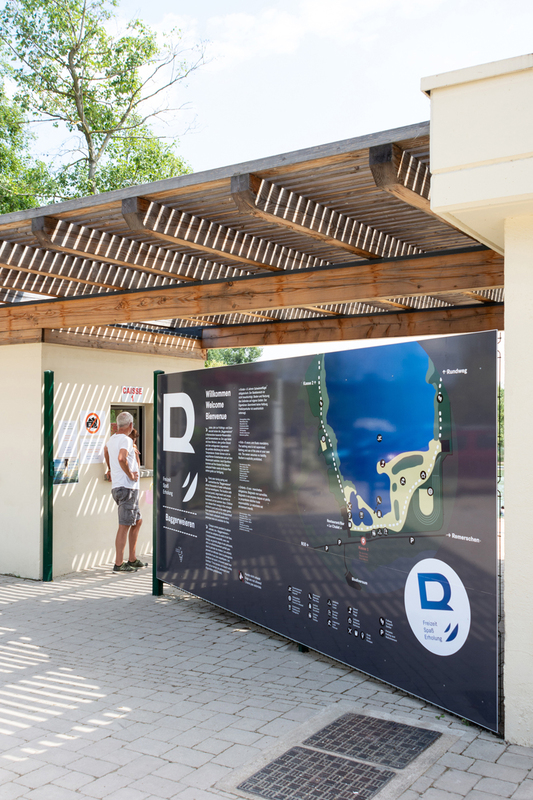 In order to enhance this offer, we have designed an identity for the ponds at the request of the municipality. The design continues the graphic appearance of the municipelity, whose direction we have given with the design of the characters for the “Infoblad” and the image brochure. 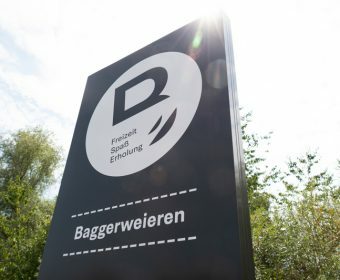 Thus, from now on, the letter “B” characterises the dredging ponds, in Luxembourgish “Baggerweieren”. 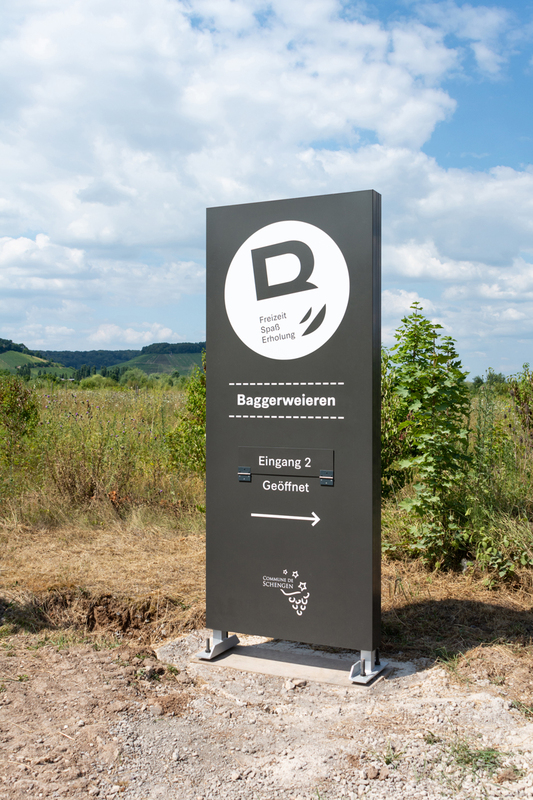 Three key words – leisure, fun and recreation – sensitise visitors to respectful interaction. 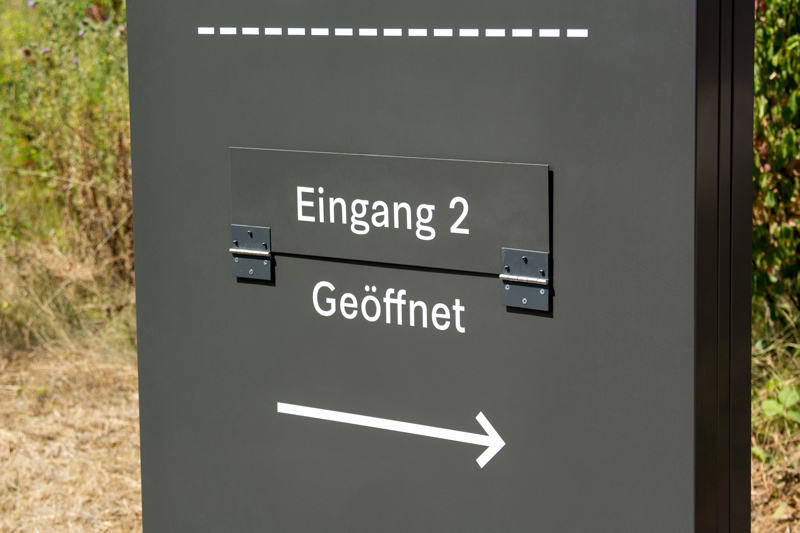 In the summer of 2018, new signs were installed on the feeder roads. 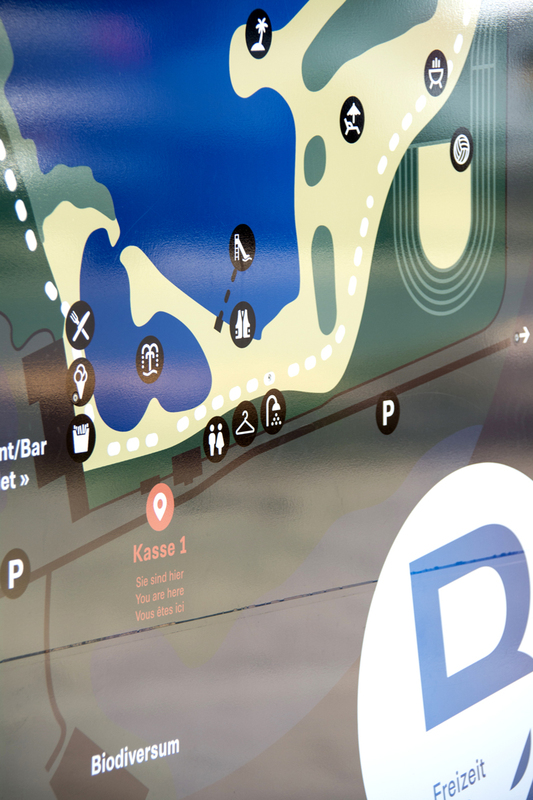 Orientation signs with a map give visitors an overview of the site at the ticket offices. They also inform them about safety regulations and precautions. Curious ? START asking for more.